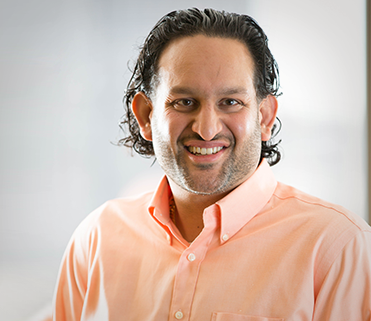 Kush Patel leads E3’s asset valuation practice as well as much of E3’s work on the East Coast. He is the primary lead on work with technology companies, investor-owned utilities, project developers, asset owners, investors, and financiers. This work involves a variety of strategic, asset valuation, and financial issues and requires extensive analysis of both wholesale and retail energy markets. Mr. Patel also supports state agencies and regulatory bodies as well as policymakers on a host of issues such as rate design, distributed energy resource (DER) deployment, and utility business model analysis. Kush led our work on two recent groundbreaking projects for the New York State Energy Research Development Authority and New York State Department of Public Service. E3’s study on full value tariff design and retail rate choices proposed advanced dynamic tariffs to help implement New York’s Reforming the Energy Vision initiative, while the New York State Energy Storage Roadmap offered specific policy, regulatory, and programmatic recommendations to help the state attain its goal of installing 1,500 megawatts of energy storage by 2025. Kush also was the lead in a due diligence analysis for an equity investor to finance a $200 million energy storage project in the Los Angeles Basin, the first project of its kind to successfully attain financing. With close to 20 years of energy sector experience, Kush brings a deep understanding of how energy markets and regulatory economics interact with on-the-ground experience in renewable energy development and finance. Prior to joining E3 in 2013, he served as director of corporate development and project finance for a solar installation company. Before that, he spent 10 years consulting with natural gas and electric utilities in New York City and in Washington, D.C., for the Oliver Wyman Group at NERA Economic Consulting.